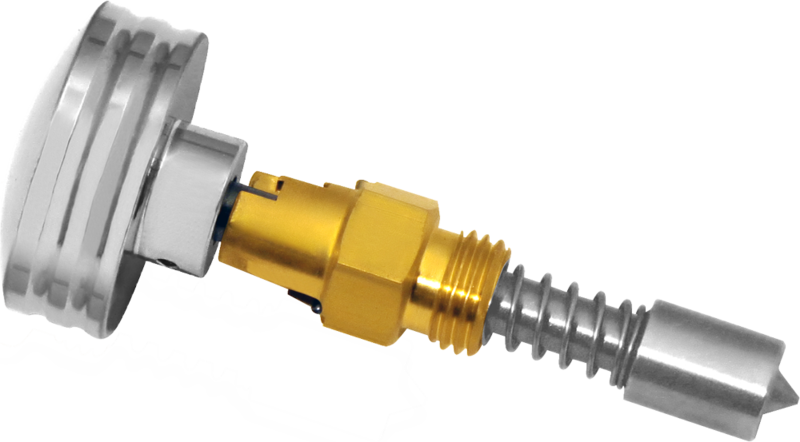 The smooth S&S enrichener is designed to replace the stock S&S enrichener lever when changing the factory air cleaner on an S&S E or G carburetor to a WCC air cleaner. The enrichener is designed as a complete replacement from stock, a simple unscrew of the factory enrichener with a ½ wrench is all that is needed to make the installation. An upward pull on the show chrome billet top offers three choke settings; no choke, half choke, full choke. The WCC enrichener is a simple and stylish way to warm your motorcycle’s engine before hitting the road.